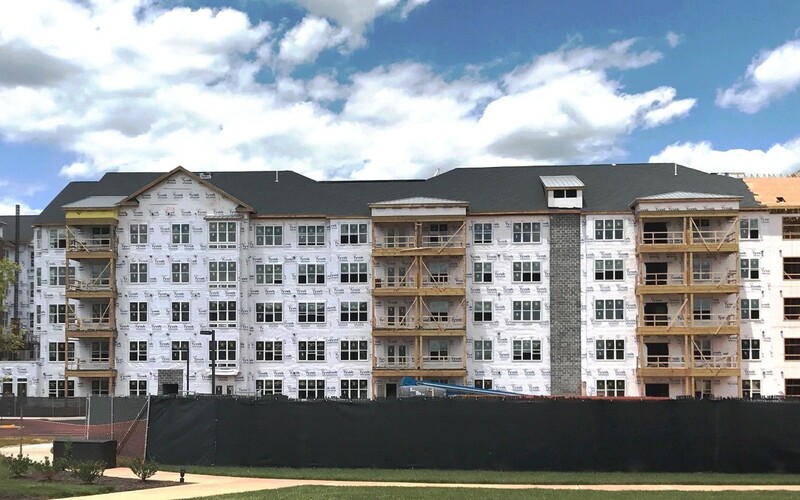 Ashburn, Va. – July 13, 2017 – This month, Ashby Ponds, an Erickson Living developed and managed community in Ashburn, Va. celebrates the opening of its tenth residential building – Cherry Blossom Square. Coupled with the upcoming opening of two more residential buildings, Birch Point and Cypress Ridge, the Erickson Living community in Ashburn, Va. is now the largest developing continuing care retirement community (CCRC) in the nation – based on total residences being developed (according to data compiled from the National Investment Center for Senior Housing and Care’s MAP Data Service). As an indicator of this demand, half of the homes available in Birch Point and Cypress Ridge sold out to members of the Ashby Ponds’ priority list prior to their availability announcement to the general public. “With Cherry Blossom Square now open, people are reserving the remaining homes in Birch Point and Cypress Ridge at a record rate,” says Henderson. The addition of Cherry Blossom Square, Birch Point, and Cypress Ridge will add 273 new apartment homes to the community and feature popular amenities including airy layouts; modernized kitchens with granite countertops and stainless-steel appliances; full-sized, side-by-side washer and dryers; walk-in closets; and custom flooring and fixtures. Each new apartment home will be easy accessible to Ashby Ponds’ two clubhouses via climate-controlled walkways. Inside the clubhouses community members will enjoy an on-site medical center, fitness and aquatics center, performing arts theater, day spa, classrooms, computer lab, and art studio. With Cherry Blossom Square now open and the homes at Birch Point and Cypress Ridge scheduled to open next spring and next summer, Henderson and her sales staff continue to meet with hundreds of people each month eager to join the thriving community. Ashby Ponds, is located in Ashburn, Virginia (approximately 30 miles west of Washington, D.C.) and is one of Erickson Living’s 19 communities. Erickson Living: is a nation-leading developer and manager of continuing care retirement communities based in Baltimore, Maryland.